Veteran spinner Imran Tahir described Chennai Super Kings skipper Mahendra Singh Dhoni as "unreal", saying even without talking much he has the capability to lift the team up. 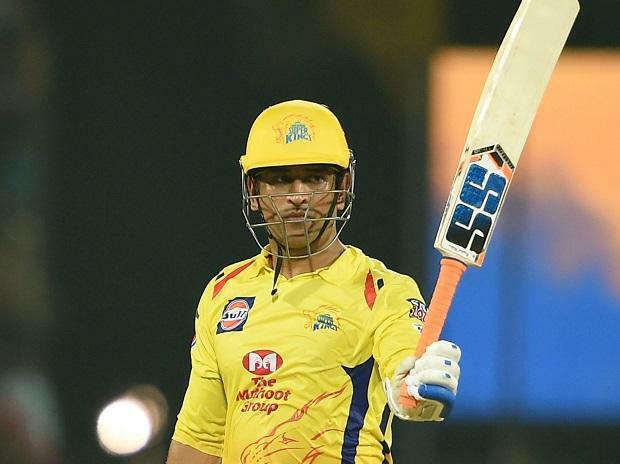 Chennai Super Kings secured a thrilling eight-run win over Rajasthan Royals in their IPL match here on Sunday night as Dhoni hit a match-winning unbeaten knock of 75 off 46 balls to guide his team to a respectable total of 175 under challenging conditions. "The way he carries himself is just unreal. He won't say much but he knows how to lift the team up. He is a great leader and a great human being," Tahir said at the post-match press conference. The South African also credited Dhoni for living up to his reputation of being one the best finishers in the world and a good tactician. "You know Dhoni plays really well in these situations because like (Dwayne) Bravo he's done this so many times, and that's why he's called Mr Cool. He works hard on his game plan. Even in practice sessions, he helps his team-mates. And we respect that. "I think as a bowling group we did really well. Even while batting, Mahi bhai played unbelievably well and set the tone for us. I'm just really happy with whatever we did as a team," he told reporters after the match. In the opening encounter, the pitch at the MA Chidambaram stadium was criticised for being a rank turner. Tahir lamented that the conditions were not favourable for the bowlers on Sunday with dew being a factor. "We have to prepare ourselves, we were not expecting that much dew. We have to practice with the wet ball going forward in the games." Tahir, who is now the purple cap holder with six wickets in three matches, said he had to dig deep into his reservoir of experience to counter the due. "I am feeling very good, very proud. It was there (dew); I tried to use my experience but the ball was really wet. It's always nerves. The first match I dropped a catch, so didn't want to repeat the mistake. Every catch is a difficult one. "It's the passion and respect I have for the game. I don't take anything for granted. Whenever I am playing, I try to contribute to my team," he added.